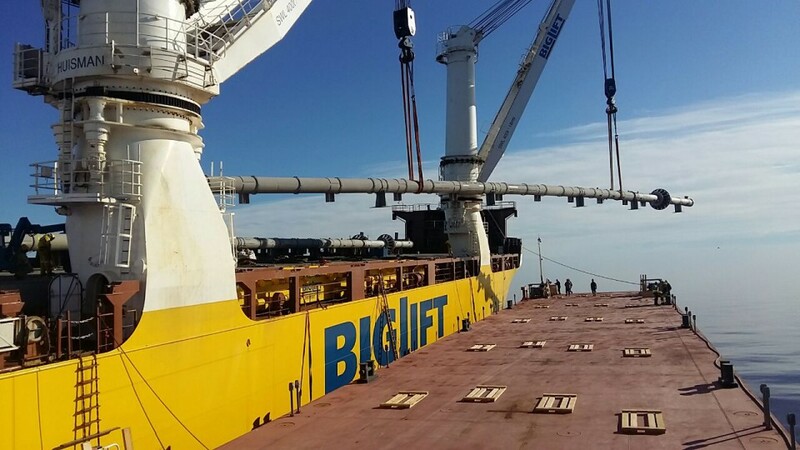 BigLift's Happy River transported a total volume of 130,000 FRT from Antwerp, Belgium, destined for a remote petrochemical complex located in Tobolsk, Russia, for her client Deugro. 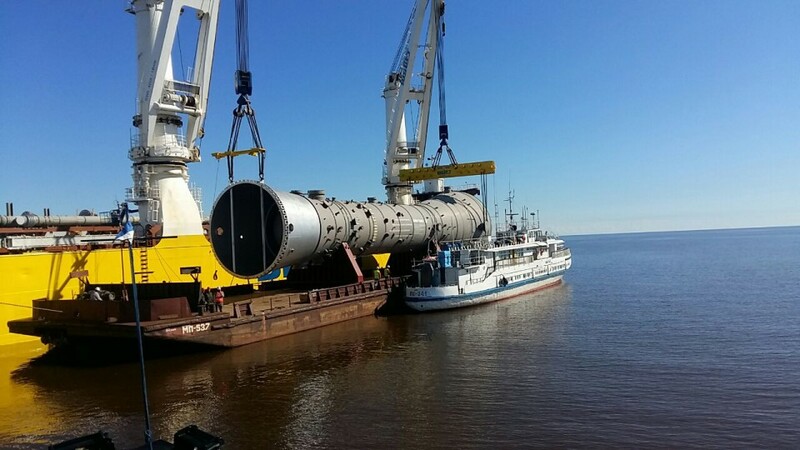 To avoid the congestion at the Port of Sabetta the transshipment operation was conducted in the arctic area of Novy Port. This remote port is located approximately 300 nautical miles south of Sabetta within the Gulf of Ob and does not have any landside infrastructure. 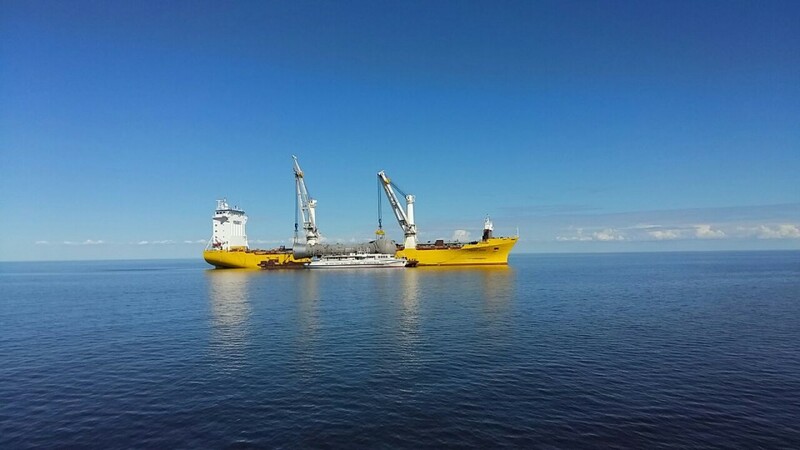 All cargo needed to be discharged on anchorage while facing the harsh local weather and hostile environment.